It’s customary to be scared of the dark. As a child I was. Now I like the dark. At times I crave it. It’s peaceful. It’s anonymous. It’s also where my demons and I can sit quietly, undisturbed, and really take a good look at each other. It makes sense for you not to know your demons very well. Their nature is to terrify you so sitting down with one of them for a cuppa probably seems like an odd concept. You’d like to think that your demons know you, though. They are yours after all. I bet it never occurred to you that some of them are only haunting you because it’s their job. Some of them are there because you think you “should” be haunted. (There’s that awful word again – “should”. ugh.) Sometimes they don’t. Sometimes it’s just their job to haunt you. Sometimes when you can stop being scared and just really look st each other you discover they aren’t monsters at all. Just past versions of yourself. Or ideas others had about you that you held on to for some reason or another. Sometimes they are actual people you are afraid to let go of. I have a few of those. People who have died that I hang onto. I’m so scared if I let them go they will vanish as if they never existed. (Note – THEY aren’t afraid of that. I am.) So I live haunted of my own doing. And even then they don’t show up as often as I’d like. They don’t want to be here, after all. They have better things to do. When we face each other in silence, really size each other up. They stop being scary. They stop being something I avoid and become something I can address. No – I don’t need to hang onto that fear I’ve had since high school. I disproved that long ago. No – I can understand where that demon came from, but I invented that fear. That’s not actually what happened at all. Oh – that’s just a smaller, More frightened version of myself. You’re not actually here to scare me, you’re here because you need me to comfort you… some of them are happy to be released. Some of them will never go away, but we don’t fight anymore. We’re more like a team. 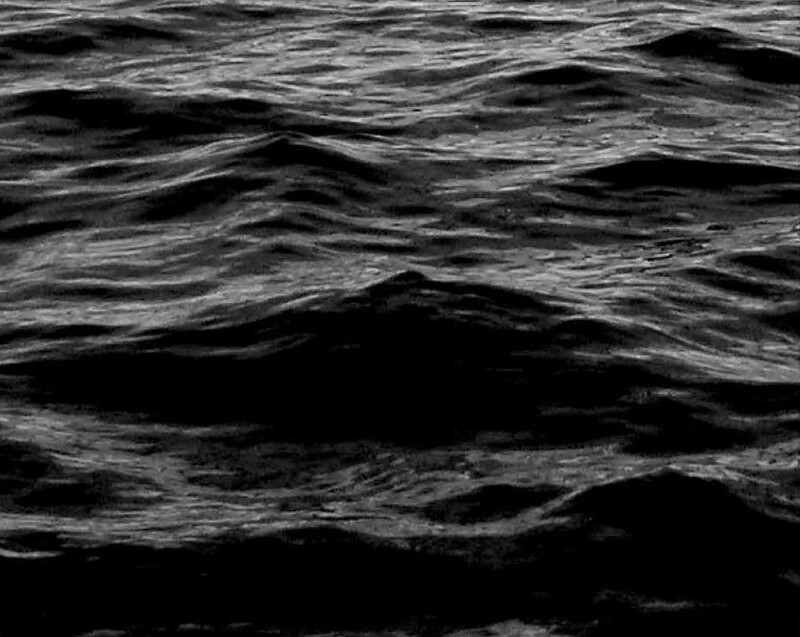 At night the ocean is a giant black void. It’s the beginning and the end. It’s the future and the past. It’s where I can sit and be alone with all of us in a comfortable stillness. What do you see? What do you see when you look into the dark?